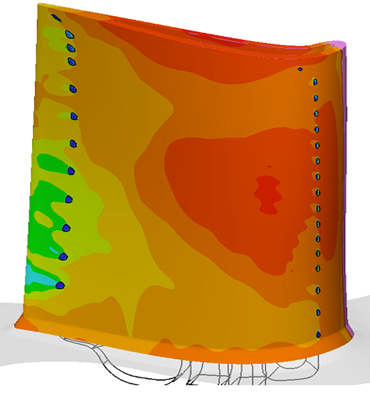 CHTflow (Conjugate Heat Transfer and Flow analysis) is a reliable and validated CFD software with special focus on the conjugate heat transfer topic, i.e. the coupled calculation of all external (e.g. hot gas) and internal flows (e.g. cooling air) and heat conduction in the solid body (e.g. blade material) including the local heat transfer at the contact surfaces. 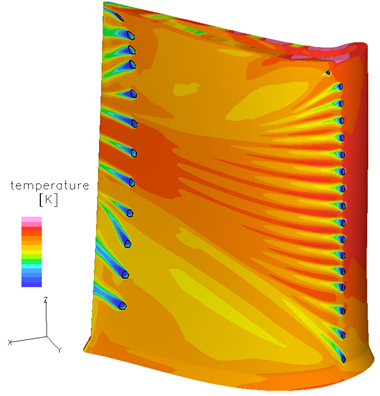 The major advantage of the conjugate approach is that the prescription of heat transfer coefficients, which are unknown in many cases, can be avoided and the local heat transfer is calculated explicitly taking into account interaction of fluid flow and heat transfer. CHTflow has been used over many years in complex research projects as well as in industrial applications, e.g. 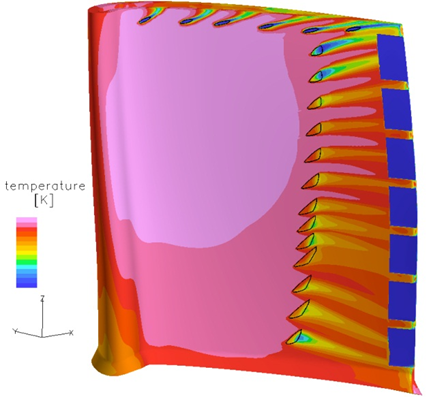 for the calculation and improvement of realistic film cooling configurations for industrial gas turbines. A huge number of publications, e.g. 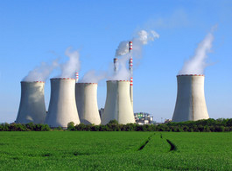 on film cooling and convective cooling, steam cooling etc., can be found in the publication list. CHTflow is continuously further developed by B&B-AGEMA and has been applied in a huge number of the industrial projects.